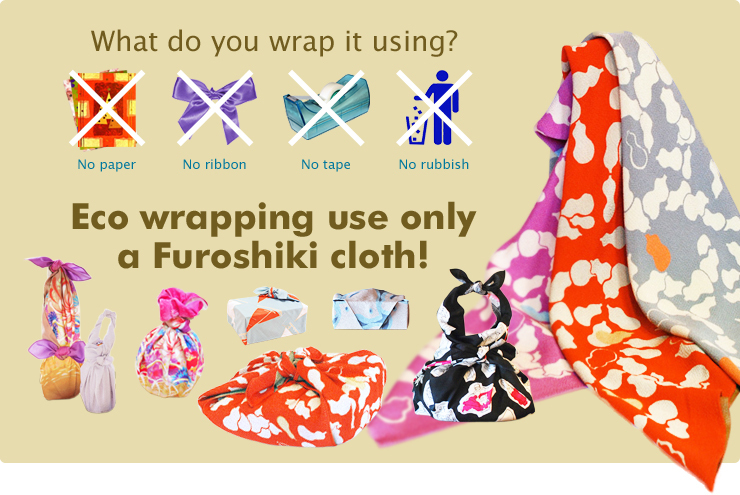 It’s recommended for wrapping of bento box and small bottle! 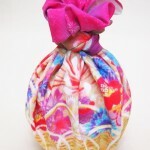 When wrapping the bottle, it transforms into a basket filled with flowers! 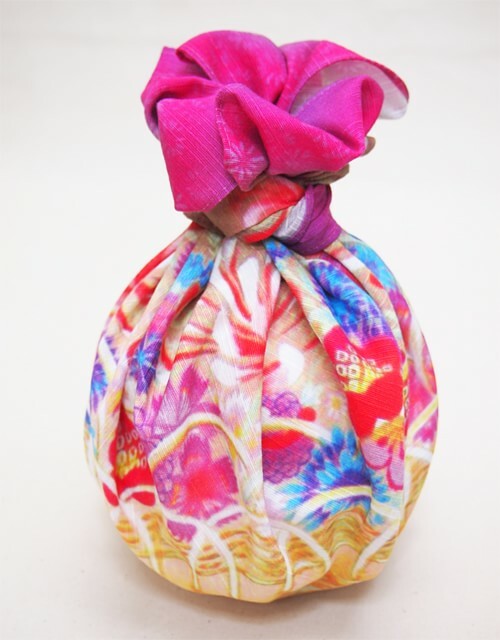 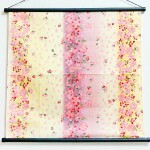 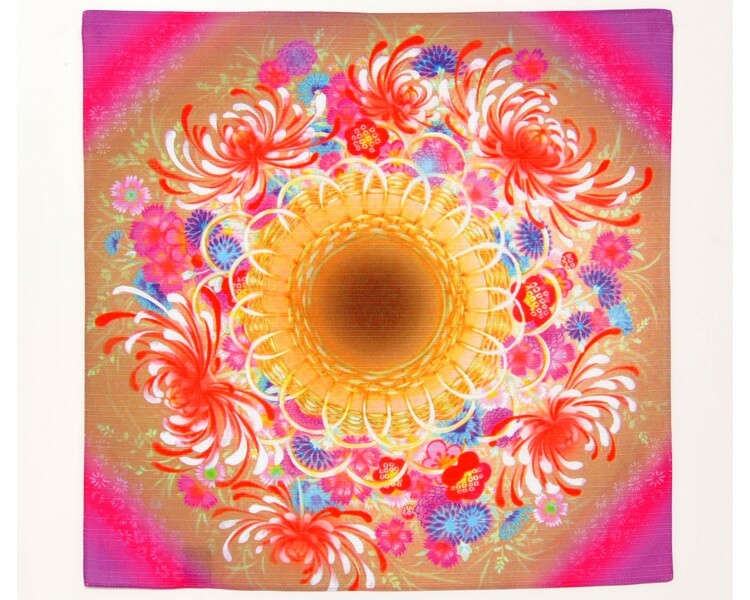 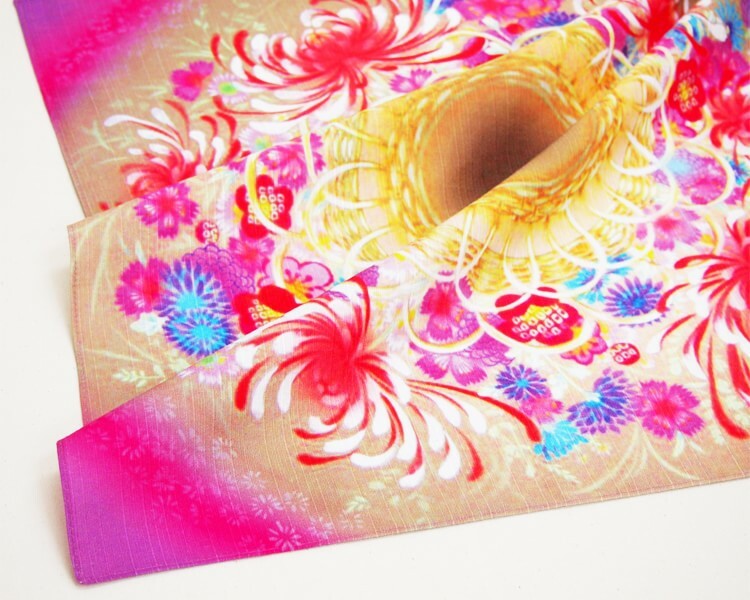 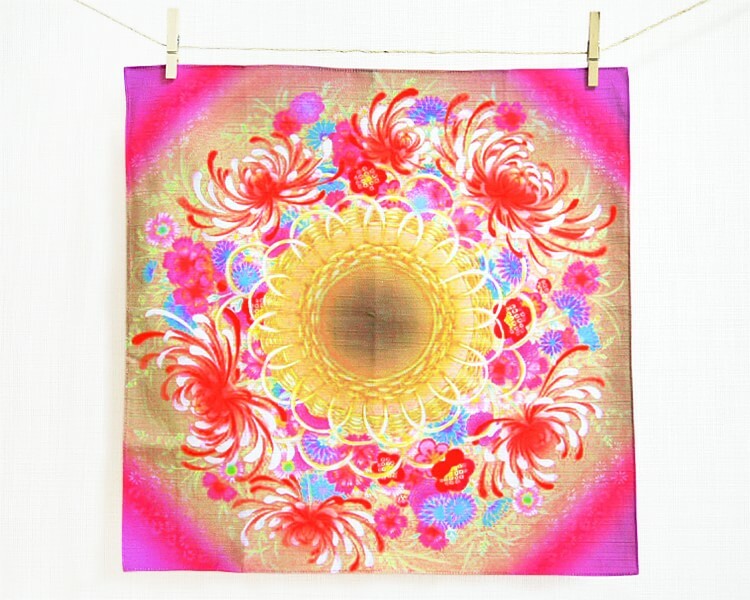 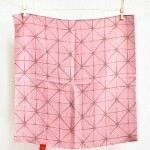 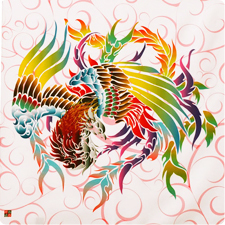 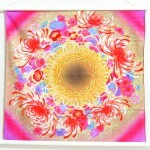 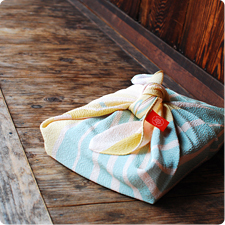 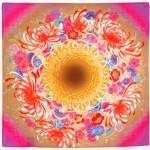 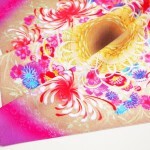 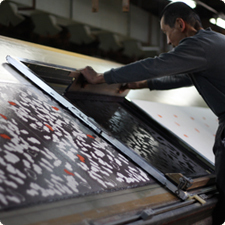 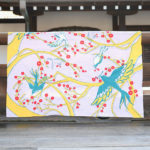 The Furoshiki is unique colorful Japanese artist designed.